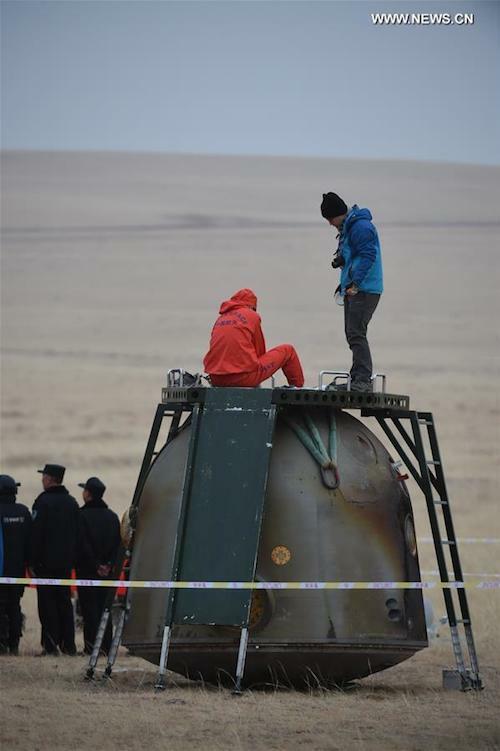 BEIJING, Nov. 18 The return capsule of the Shenzhou-11 spacecraft was found in the main landing area in north China's Inner Mongolia Autonomous Region at 2:07 p.m. Friday Beijing Time, according to the Beijing Aerospace Control Center. 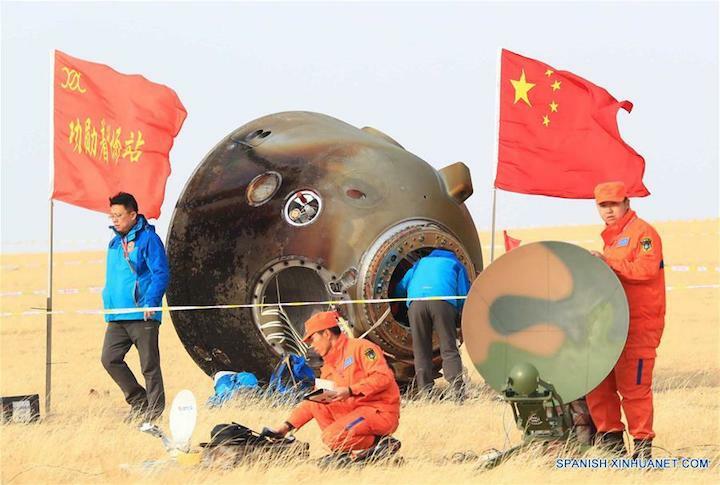 BEIJING -- Commander-in-chief of China's manned space program Zhang Youxia announced Friday that the Shenzhou XI mission was successful. 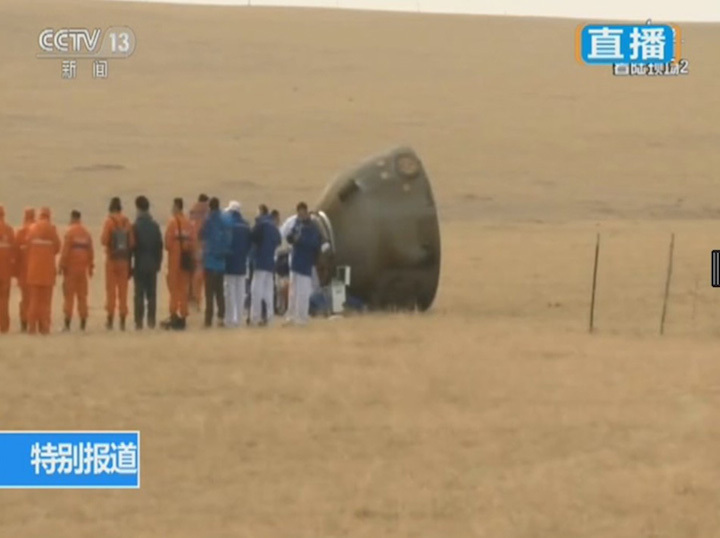 Chinese astronauts of the Shenzhou XI space mission opened the return capsule's hatch and are reported by the ground team to be in good condition. 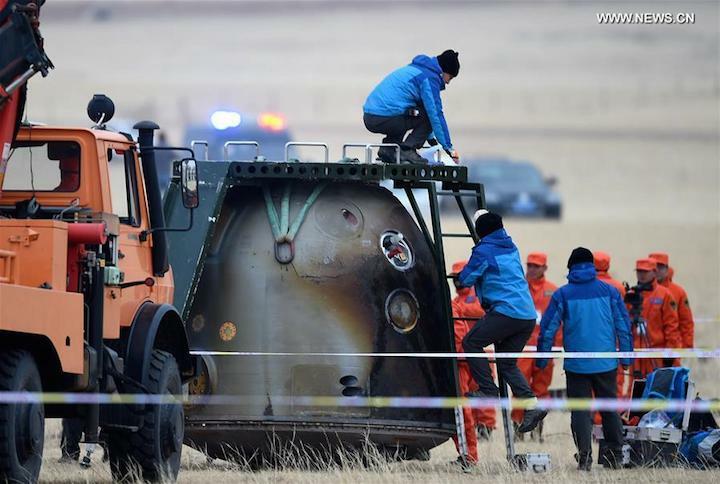 The return capsule of the Shenzhou XI spacecraft was found in the main landing area in north China's Inner Mongolia autonomous region at 2:07 pm Friday Beijing Time, according to the Beijing Aerospace Control Center. 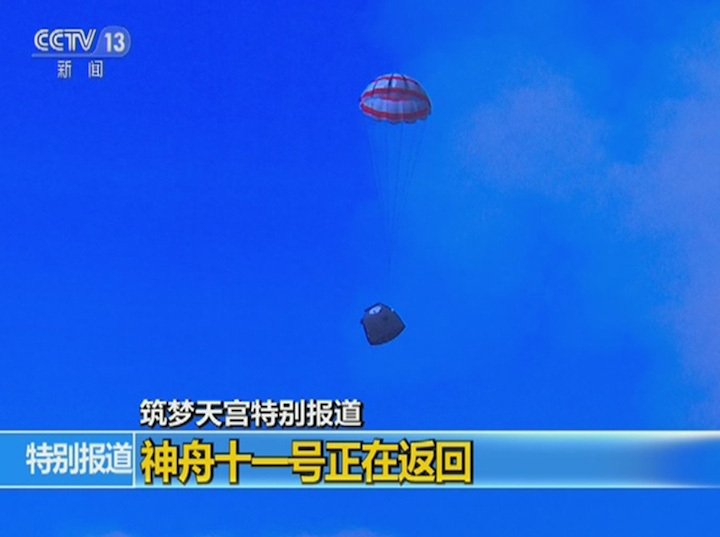 The return capsule of Shenzhou-11, which is carrying two Chinese astronauts Jing Haipeng and Chen Dong, separated from the spacecraft's orbiting capsule at noon Friday. 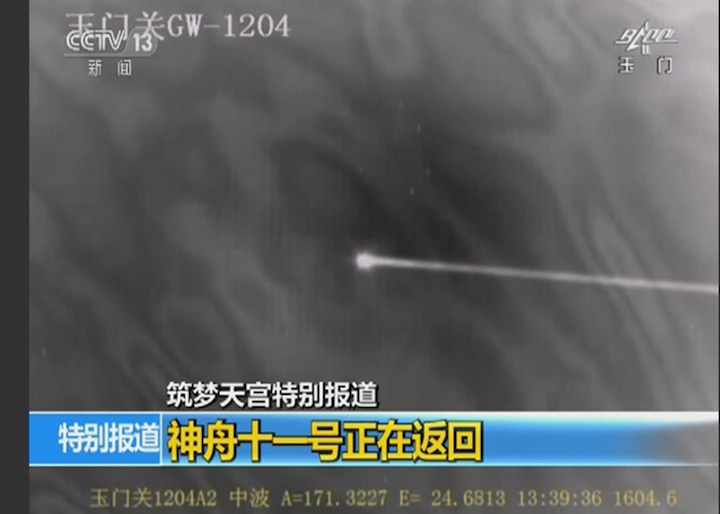 The return capsule entered the return orbit after attitude adjustments, with the two Chinese astronauts onboard reporting that they are in good condition. 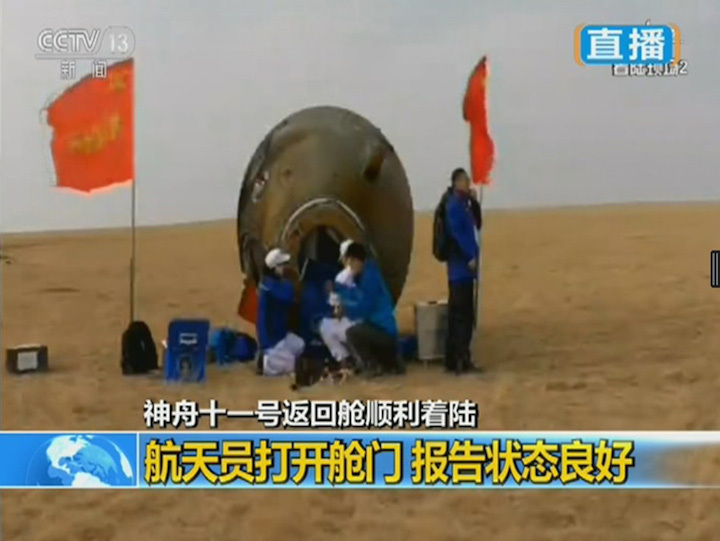 The return capsule of Shenzhou-11 separated from the spacecraft's propelling capsule at noon Friday. 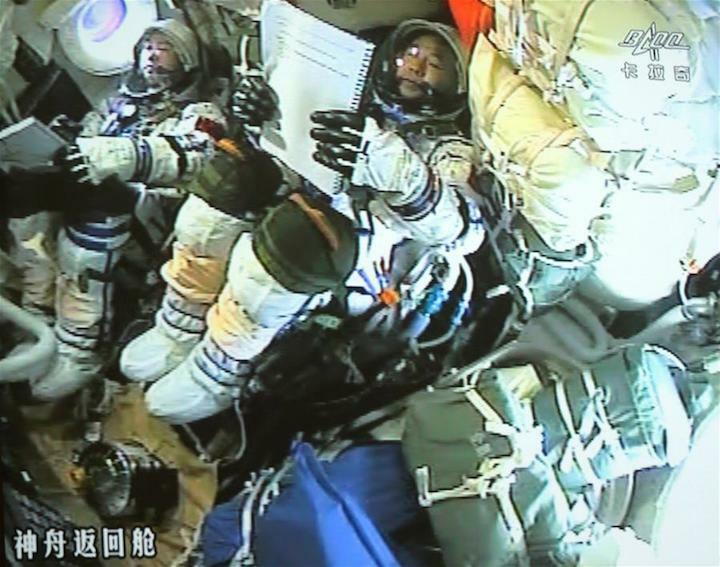 China's Shenzhou-11 manned space mission a "complete success"
Two astronauts who completed China's longest-ever manned space mission returned to Earth safely Friday afternoon, according to the Beijing Aerospace Control Center (BACC). 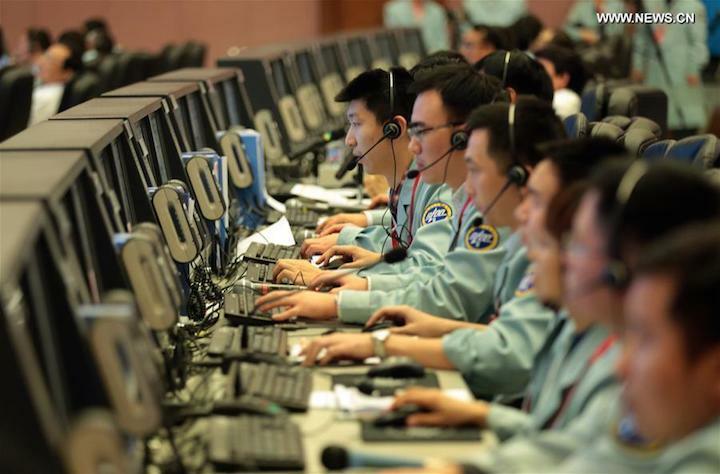 Zhang Youxia, commander-in-chief of China's manned space program, announced that the Shenzhou-11 mission, which lasted over a month, was a "complete success." 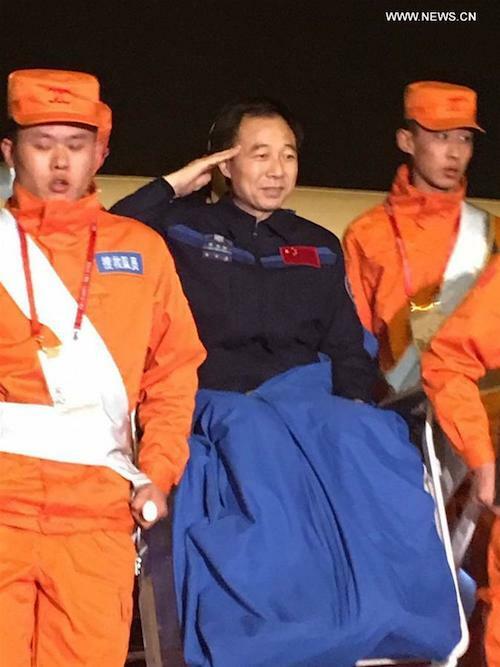 Zhang Gaoli, vice premier and a member of the Standing Committee of the Political Bureau of the Communist Party of China (CPC) Central Committee, delivered a congratulatory note from the CPC Central Committee, the State Council and the Central Military Commission at the command center of China's manned space program in Beijing. 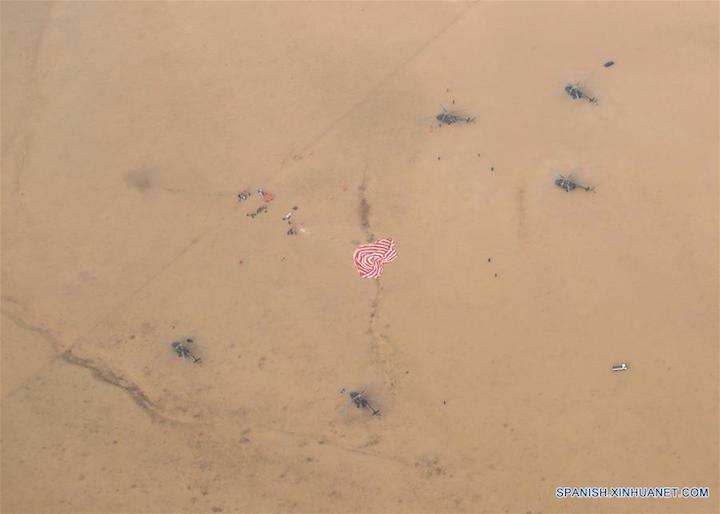 The reentry module of Shenzhou-11 landed safely at the expected site in central Inner Mongolia Autonomous Region at about 1:59 p.m. Friday Beijing Time. 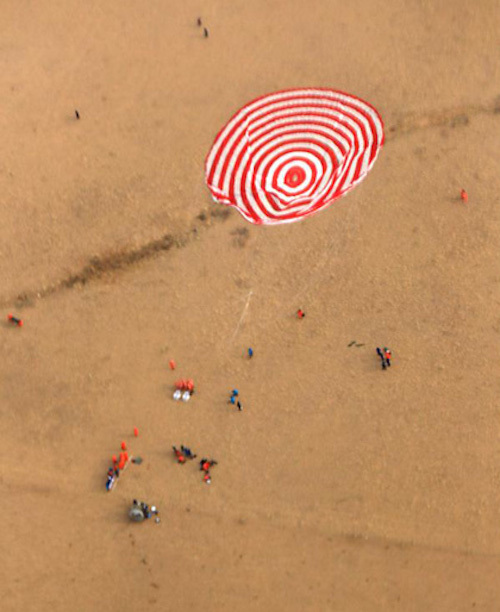 The two astronauts were reported by the ground team to be in good condition. 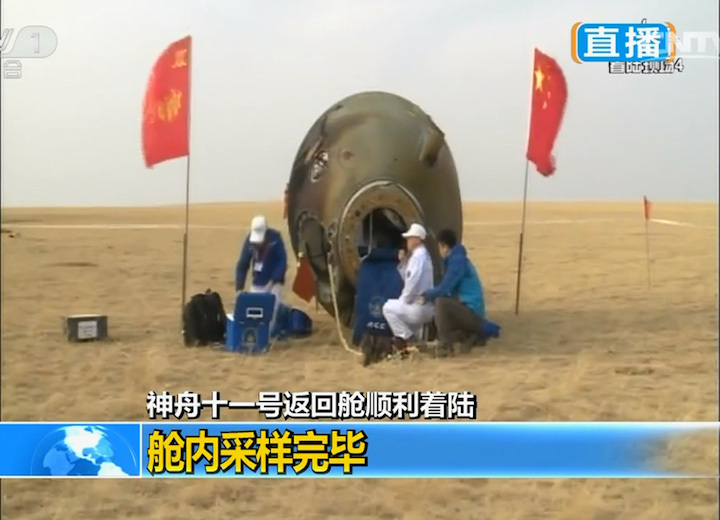 They and the reentry module will later be transferred to Beijing. 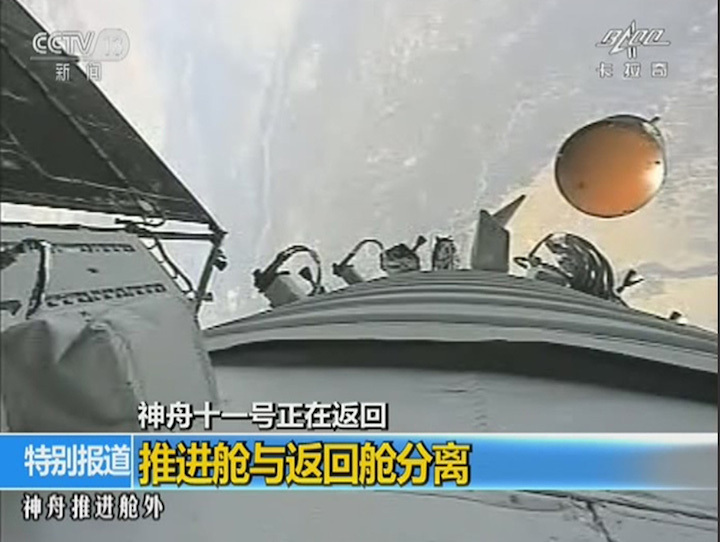 Shenzhou-11 was China's sixth manned spacecraft, and also the country's longest mission to date. The core module of China's space station is expected to be launched around 2018, and the space station will enter into full service around 2022, with an initial designed life of at least 10 years. 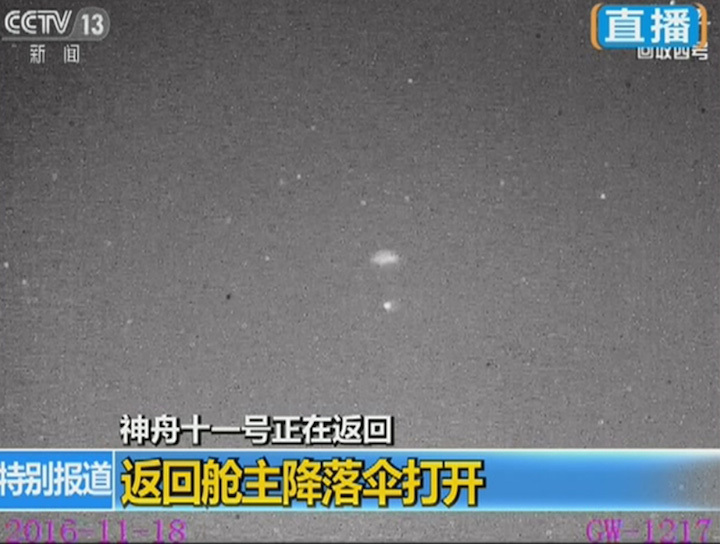 Tiangong-2 will remain operative in orbit following Shenzhou-11's return to Earth and will wait to dock with Tianzhou-1, China's first cargo spacecraft. Tianzhou-1 will be launched in April 2017 to verify refueling technology, a key technology for any space station. Samples from space material and plant growth experiments carried out on China's space lab Tiangong-2 are in good condition and have been delivered to scientists for further research, the Chinese Academy of Sciences (CAS) said Saturday. 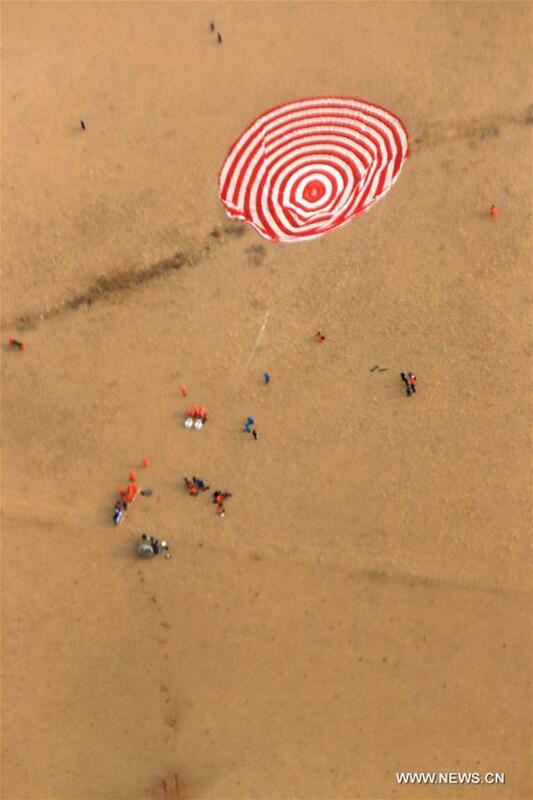 The material and plant samples were retrieved after the successful landing of the Shenzhou-11 spacecraft's reentry module Friday. According to CAS, 12 out of 18 material samples sent to space via Tiangong-2 in September, including semiconductor, nano and thin film materials, were taken back for study, while the other six will remain in space to test their physical and chemical features in zero gravity for future development of material processing techniques. Seeds of thale cress, a kind of flowering plant, have grown into pods after 48 days of cultivation in space, said CAS, adding that scientists will continue to grow the pods in the laboratory. 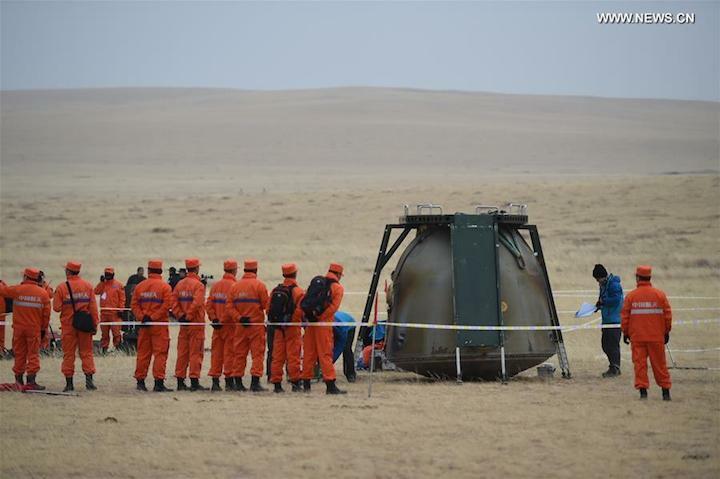 The reentry capsule that brought Shenzhou-11 astronauts Jing Haipeng and Chen Dong back to Earth has been unveiled at a ceremony in Beijing which saw the retrieval of some of the mission's space experiment samples. 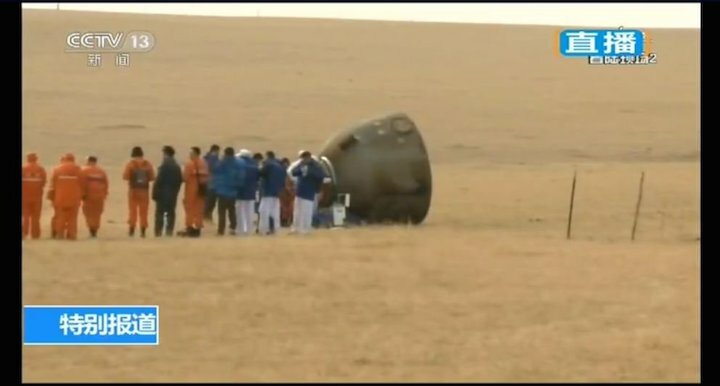 The capsule landed safely in north Inner Mongolia on November 18 after a near 33-day stay in space, making Shenzhou-11 China's longest-ever crewed mission. 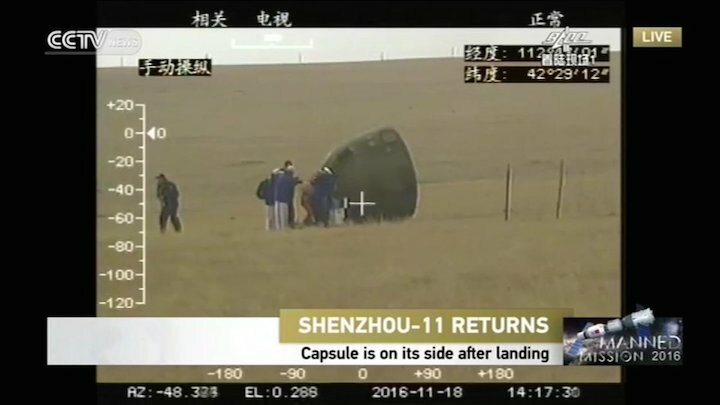 As well as the crew, the capsule also returned experiment materials that either stayed in space for 33 days with Shenzhou-11 or for 66 days from the launch of China's Tiangong-2 space lab. These materials include bacteria samples, silkworm cocoons, crop seeds, herbal seeds and seedlings, a traditional ceremonial Tibetan hada scarf, a Chinese kite from Weifang, and a flag made by China youth volunteers. Samples retrieved from the Shenzhou-11 reentry capsule (Su Dong/China Daily). "After orbiting in space for some time, the seeds of the Chinese wolfberry will mutate, and some of those mutations will be beneficial. 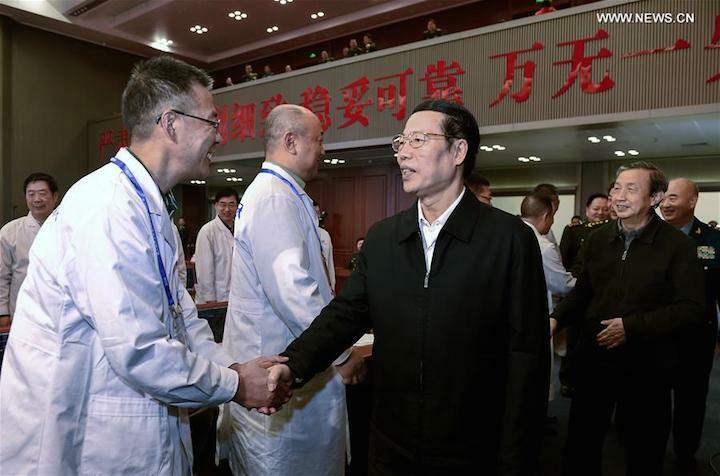 Planting those seeds will be of great significance," Xue Gang, Deputy Secretary-General of the People's Government of Ningxia Hui Autonomous Region, told CCTV. An experiment created by Hong Kong schoolgirls meanwhile aimed to test the effects of microgravity on the silk spinning of silkworms. The ceremony was held jointly by the China Manned Space Engineering Office and the China Aerospace Science and Technology Corporation (CASC), the main contractor for the country's space programme. 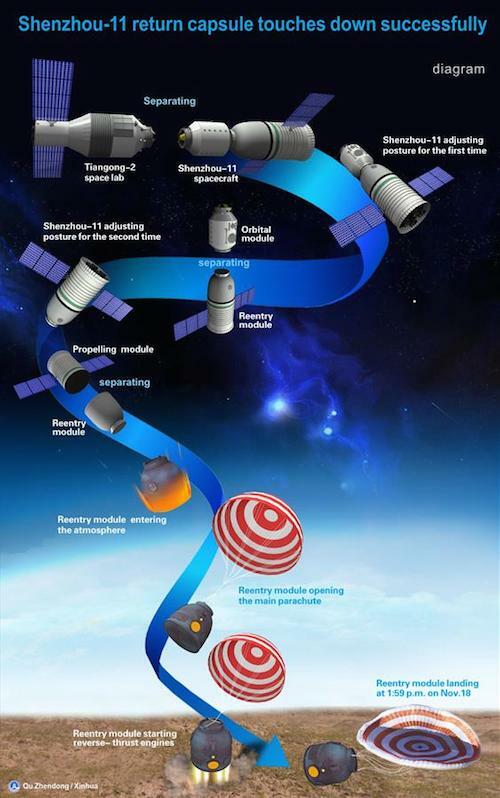 The Shenzhou-11 and Tiangong-2 missions are test beds for China's ambitions to establish a large, modular space station in orbit. The 20 metric tonne core module is expected to be launched in 2018 by the new Long March 5 heavy-lift launch vehicle. 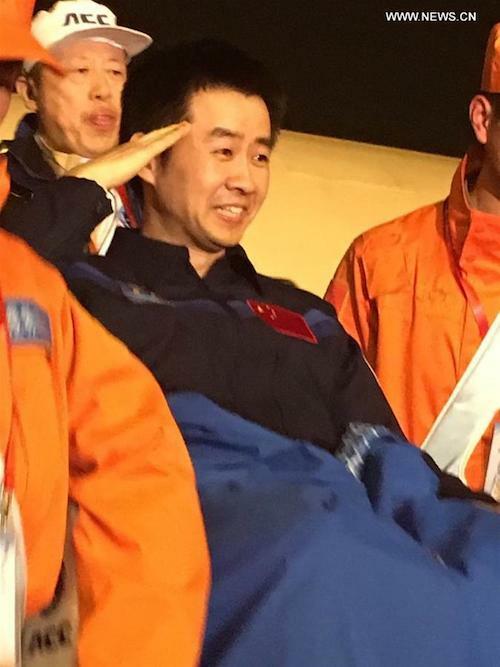 Yang Liwei, who became China's first astronaut in space in 2003, said the missions serve Chinese scientists, their research and the people, and further work will, "aid the economic development of our country and the health of our people."